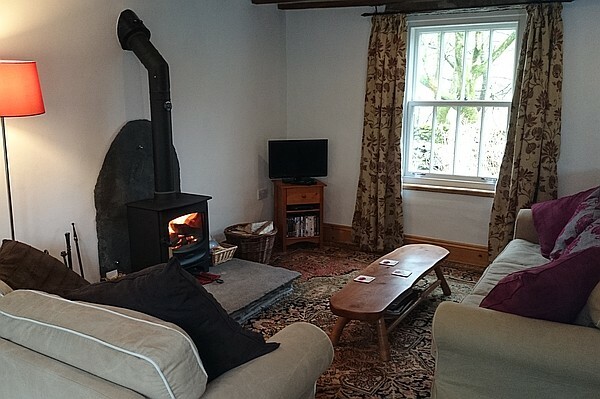 Sandbed Cottage is situated in the spectacular Eden Valley at the foot of Harter Fell. 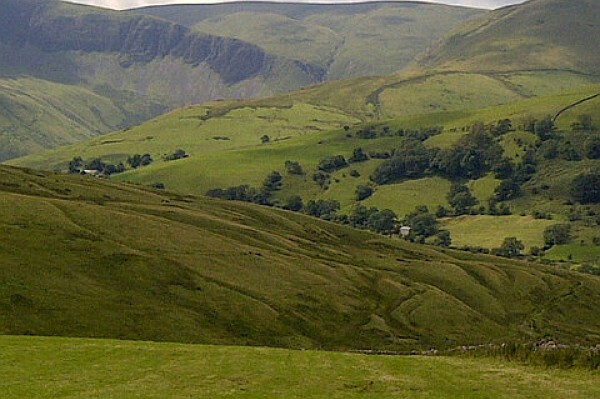 This undiscovered area is a paradise to walkers, horse riders and mountain bikers with easy access to open fells right on the Cottage door step. 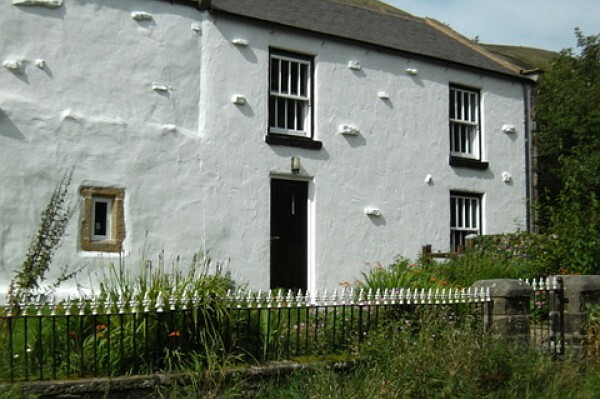 The Cottage is ideally placed for you to enjoy the breathtaking scenery of Fell End and the outstanding local area, the Lake District and the Yorkshire Dales. Sandbed is 3 miles from Ravenstonedale, where you can find various village amenities including two public houses serving bar food and excellent restaurant dining, a village shop, children’s play ground and St Oswald’s church with its unique forward facing pews. Sandbed Cottage has two stables and a tack room which can be rented during your stay at the cottage, so you and your horse/s can enjoy the numerous bridleways and tracks that chris cross this impressive lime stone countryside. 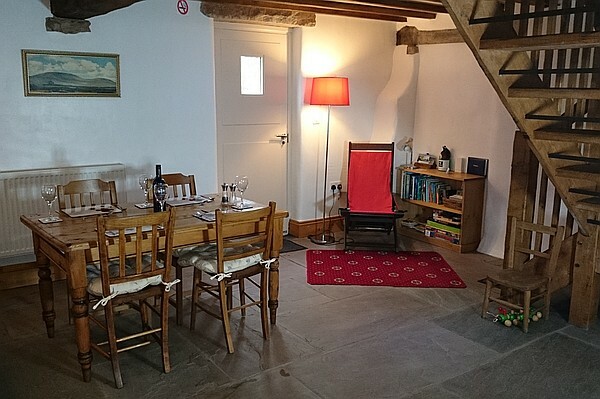 The cottage has been recently refurbished but retains many of the old features including exposed beams, flagged floors and stone work. 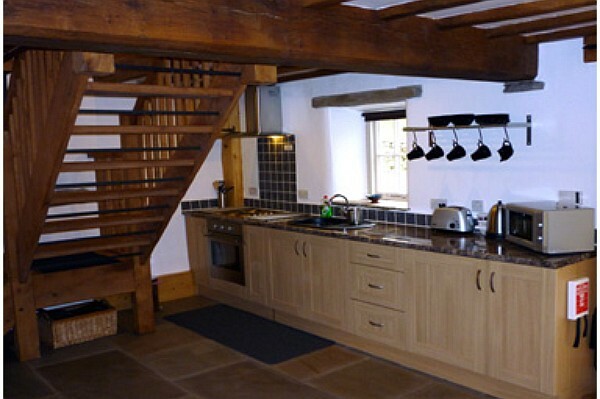 The downstairs is open plan and consists of living and dining areas and a modern kitchen. A handmade oak staircase then leads you upstairs to a galleried sitting area, the two bedrooms and the large shower room. 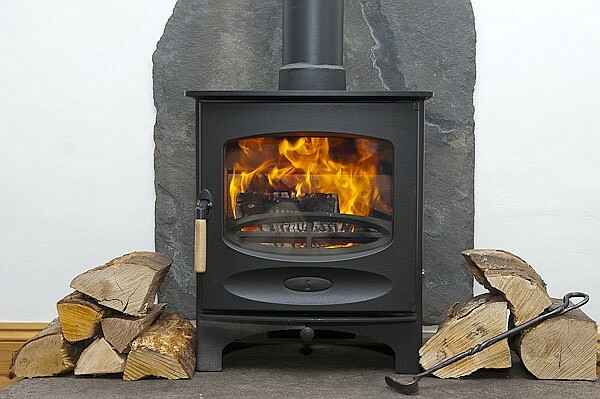 There is an oil fired central heating system throughout the cottage, a starter pack for the Log burner is included in the tariff. The orchard garden offers stunning views of the surrounding fells, lime stone kilns leading onto dramatic lime stone pavement. There is a seating area, stone built BBQ and ample off road parking. 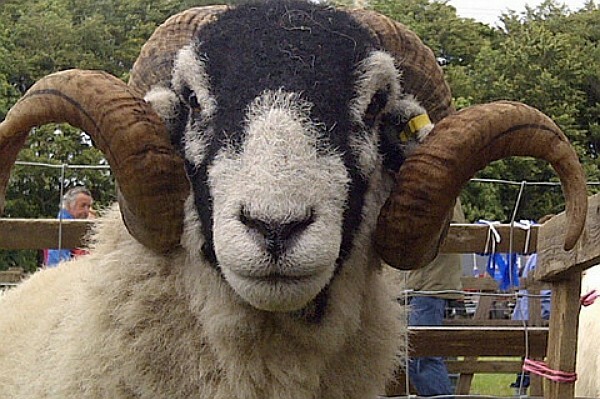 Kirkby Stephen is just 7 miles away and is a small market town which was recently awarded the 'Best Village in Britain' award. Here you can find a number of excellent restaurants and pubs serving local produce as well as an eclectic range of shops. 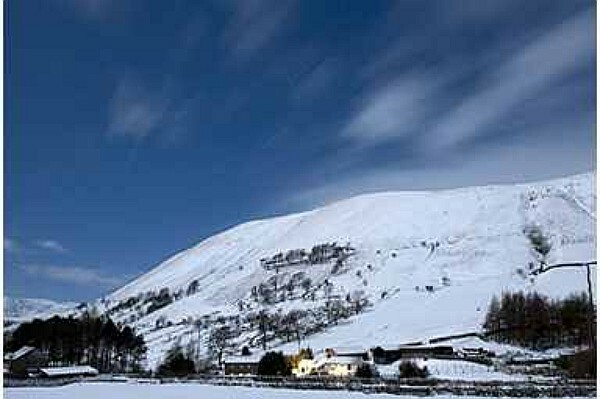 Sedbergh is also 7 miles away and is a picturesque market town surrounded by Fells. The town holds an annual book festival which is becoming increasingly popular. 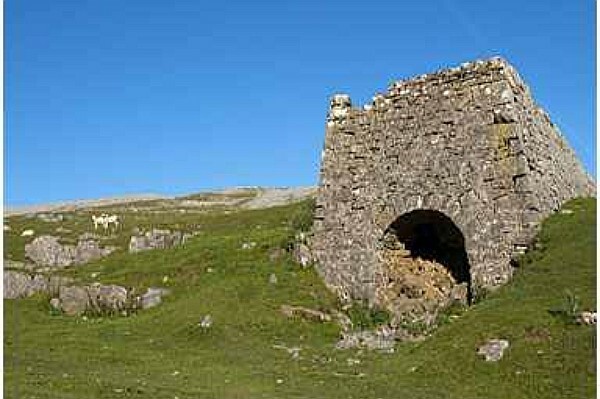 The Settle-Carlisle Railway which is famed as being the most scenic in the UK can be boarded from Kirkby Stephen. Classic Coach Tours are provided by Cumbria Classic Coaches who tour the area on a number of vintage coaches. 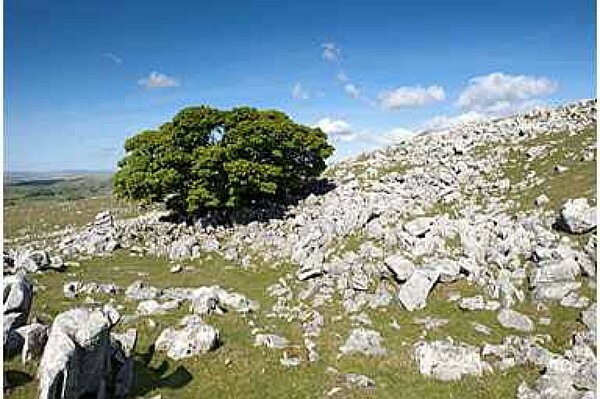 There are several historical sites nearby including St Oswald's Church and the Gilbertine ruins and Pendragon Castle rumoured to be the “seat” of Uthra Pendragon, King Arthurs father. Hill Walking is understandably a very popular pastime in the area. 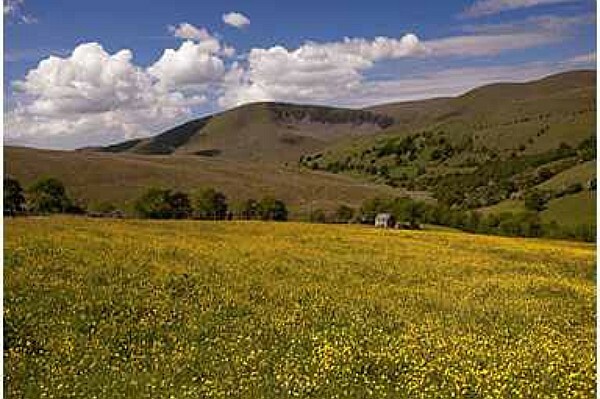 The Howgill Fells offer an array of walks which are less crowded than many of those in the central Lakes with gradients that are also often not as steep. 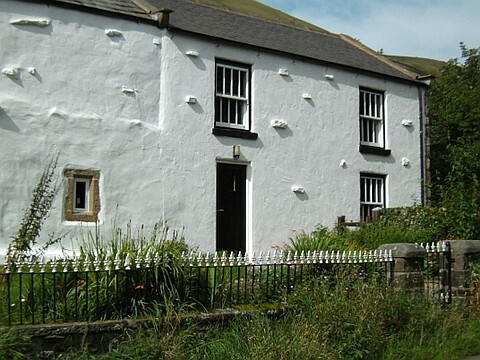 Sandbed Cottage has a range of maps of local walks for you to use during your stay. 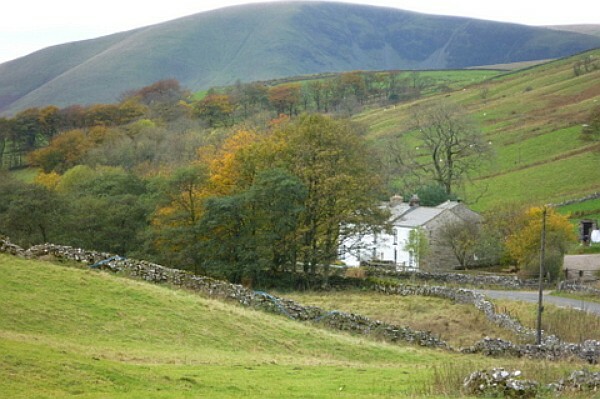 The nearby rivers of Eden and Belah provide good local fishing, permits for these can be purchased from the Kirkby Stephen Angling Association. Fishing in the River Lune can also be arranged with permits available from the Tebay Anglers. Trout fishing at the Bessy Beck Trout Fishery at Newbiggin-on-Lune offers lake side fishing opportunities. At Ravenstonedale there is the Riverside Golf club which has a small 9/18 hole course. There is also larger 9/18 hole course at Sedbergh. 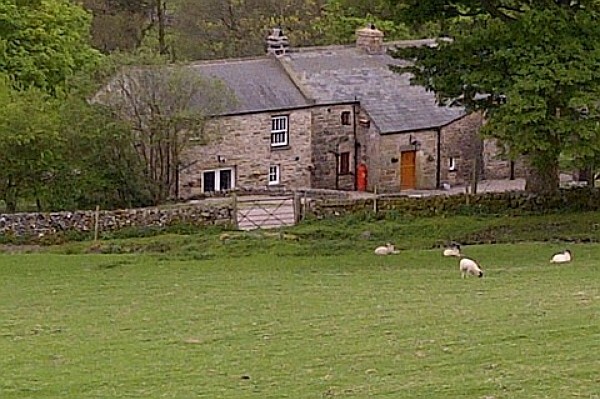 Ravenstonedale has a Tennis club which is open to visitors. 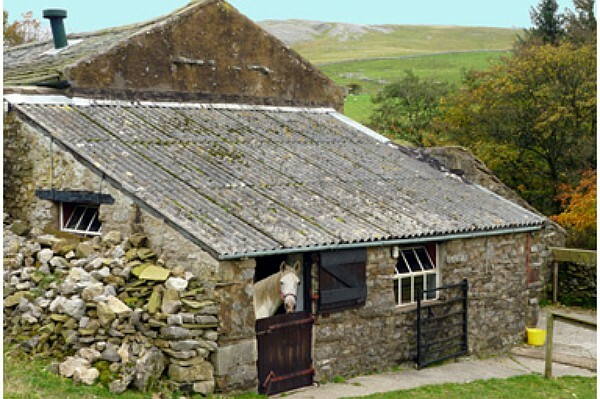 A horse trekking centre is based further up the valley and offers a range of treks across the Howgill Fells and on Wild Boar Fell. The Cumbrian Cycle Way can be access from Kirkby Stephen providing easy access to some excellent cycling. And finally if all those activities are not enough there is even the opportunity to Paraglide at Mallerstang just outside Kirkby Stephen. 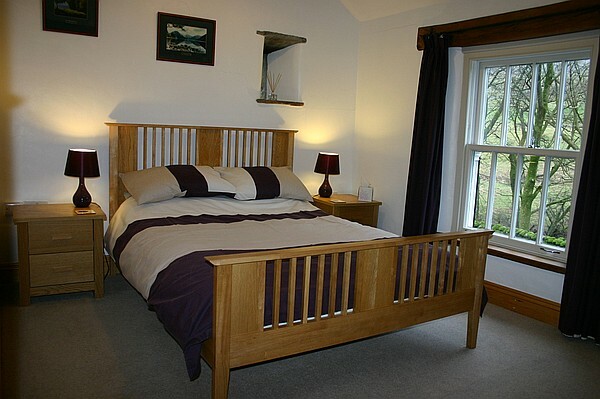 Our prices include electricity, heating and all linen (excl personal towels). Arrival time is 3.30pm and departure time is 10am. Access to a freezer and laundry facilities. Changeover day is Saturday, this can be flexible depending on the time of year. To secure your booking we ask for a deposit of £100, the full balance is then payable 4 weeks before the start of your holiday. We normally accept 2 dogs but will consider a request for 3 dogs depending upon the breed and size. Short breaks are available from £225. A cot and high chair is available on request. Discounts are available for two person occupancy (excl school holidays). Dogs are free of charge. Horses are charged at £10pn (for a minimum of 3 nights, feed and hay are not included).